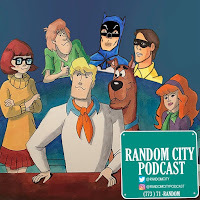 In episode 69 of the Random City Podcast, I share my random thoughts about the 30th Anniversaries of Robocop and Summer School. My main topic, the Random Selection of the week, is The New Scooby Doo Movies. I take a look back at my favorite old school incarnation of the Scooby Doo franchise..